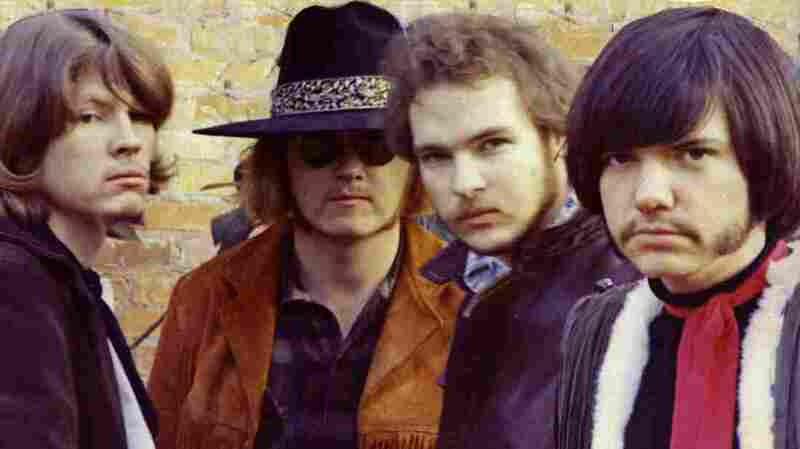 Before ZZ Top, Billy Gibbons (second from right) was in the more psychedelic Moving Sidewalks. There must be something in the water — or the beer — in Texas that caused the huge eruption of garage bands and psychedelic bands in the mid-1960s, because there sure were a lot of them, and their records on obscure labels have kept collectors busy for decades. Most of them were amateurs, but the Coachmen, who came together around 1964, were different. Billy Gibbons had grown up in Houston as the son of top society orchestra leader Fred Gibbons, and had watched his father deal with getting and playing jobs, and with musicians. By the time Billy was 14, he'd put together a band, the Saints, to try to play the blues he heard on Houston's black station, KCOH. From there it was Billy G and the Ten Blue Flames, and then came the Coachmen. They were no different from a lot of bands of the day, playing parties, school dances and the occasional teen club, and their repertoire moved between hits of the day and the blues Billy was so intent on exploring. In April 1966, they recorded a couple of tunes, originals that went over well at their gigs. The song "99th Floor" was their rave-up number, but nothing happened to the tape, and the band broke up. Drummer Dan Mitchell stuck with Billy, though, and a new band, the Moving Sidewalks, emerged. Their approach was different: They'd been listening to English bands and the few recordings leaking out of San Francisco. Then the biggest surprise of all: From Austin, virtually next door, came a band called the 13th Floor Elevators who were not only writing and performing top-quality material, but also had been playing the ballrooms in San Francisco as equals to the local bands there. 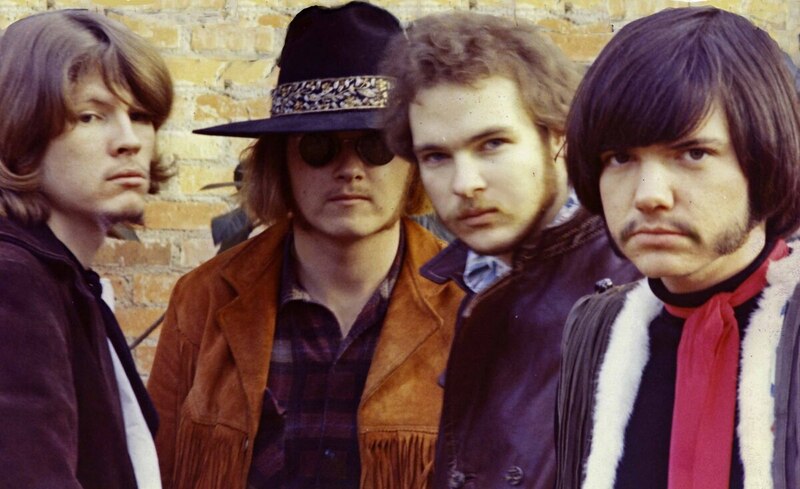 That just made Billy set his sights higher for the Moving Sidewalks, and early in 1967, they recorded a new version of "99th Floor" for a local label, Tantara, and Houston radio jumped on it immediately. It was the top record in Houston almost immediately, and was selling so fast that Tantara leased it to Scepter/Wand, a New York label that had the Kingsmen, the Shirelles and Dionne Warwick. The band was touring regionally with top bands, and it was time for another single. Billy was happy to comply, with the song "Need Me." Again, this did well locally, and as 1968 dawned, the band was tapped to open four shows by an American guy who'd gone to England and become famous. Meeting Jimi Hendrix changed Billy Gibbons' life — and his music. Hanging out with Hendrix's drummer, Mitch Mitchell, had an effect on the Sidewalks' drummer, Dan Mitchell, too. But by the time the song "I Want to Hold Your Hand" was recorded, the Moving Sidewalks had had a couple of problems. They'd been asked to go on a national tour opening for the Doors, but in Dallas, the band, which loved to set off pyrotechnics, overdid the flash powder and set the Doors' equipment on fire. There went that tour. And Scepter didn't see any reason to release a new version of an old Beatles tune, so they were back on Tantara. They'd been recording an album in bits and pieces, but for some reason, it wasn't getting released. In fact, it didn't get released until late 2012, and, as you might guess, it's very much a period piece, albeit a very well-made one. There's a seven-minute track called "Joe Blues" on it that definitely points to the future. The band threw their equipment in a trailer and drove out to California and hung out in Los Angeles digging the Sunset Strip scene. They didn't get any gigs out of it, and returned to Houston, where they found that Tantara still hadn't released their album. The band drifted apart and played their last gig as the Moving Sidewalks on July 4, 1969, after which they went their separate ways. As for Dan Mitchell and Billy Gibbons, they began to form a new band that would eventually become ZZ Top, less psychedelic, more bluesy. But in Houston, people of a certain age still remember the Moving Sidewalks.